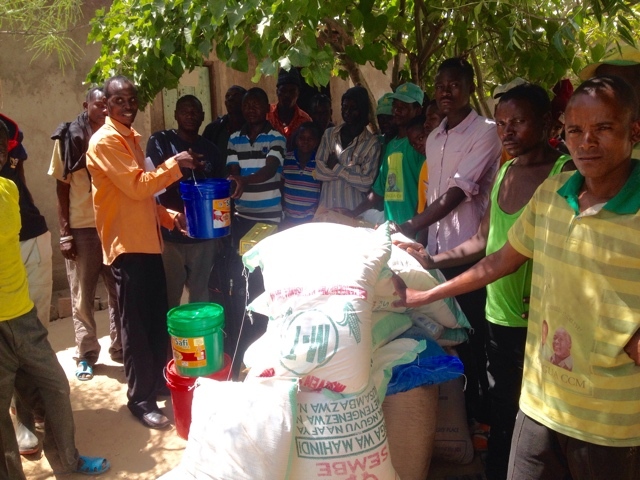 Emmanuel International is helping the church in Pawaga, Tanzania, to assist victims of the floods which occurred in February 2016. 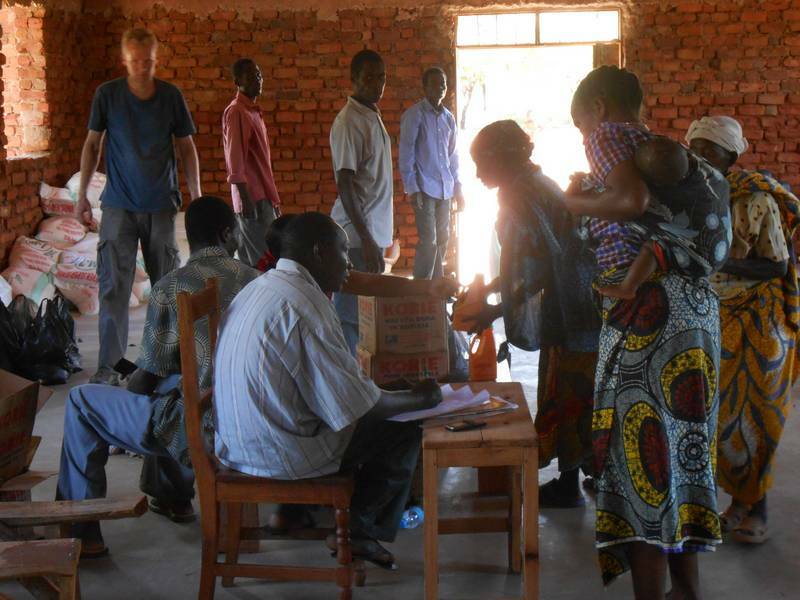 The pastor and elders of the local Anglican church worked with the village leaders in Itunundu ward to identify 63 households who were in need of food aid. The food supplies of the families who are being helped were destroyed when flood waters washed away this season’s crop of rice as well as the small reserves they had left from last season.Thanks to donations of approximately £1500 already given to this appeal, a truck carrying approximately 2 tons of maize flour, 400 kilos of beans as well as cooking oil, sugar and salt was delivered to the church. 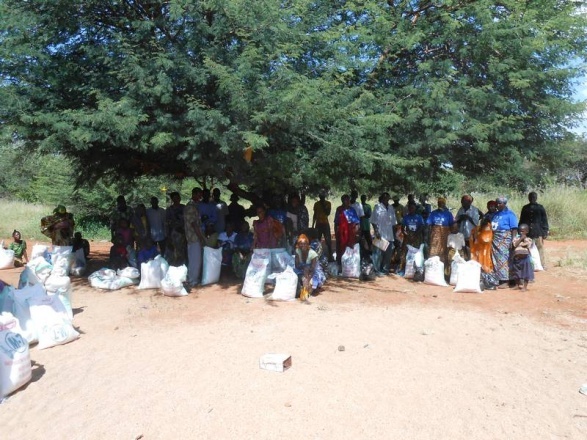 A team of church elders distributed the supplies to the 63 families who had previously been identified. Pastor Alpha Kwanga explained that the church recognized its role to help people with needs in the community, and through God’s worldwide family they were able to provide this small gift of love to these families. 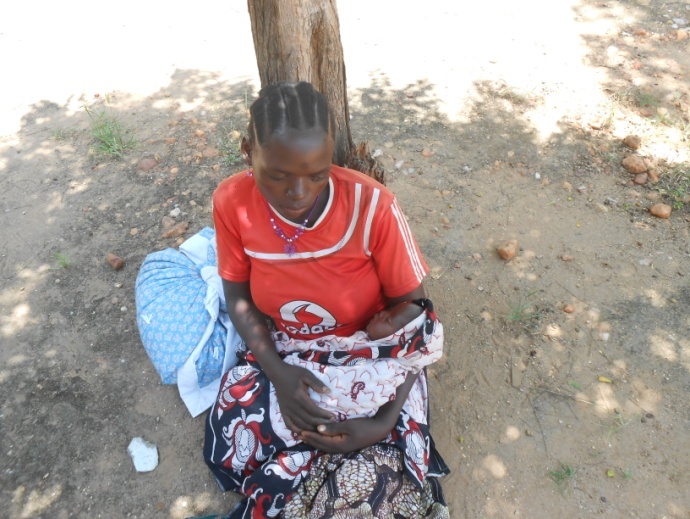 One of the victims who received food supplies was the mother of Amina, a baby girl who was miraculously born on a termite mound while her family awaited rescue from the flood waters. Amina and her mother were eventually rescued by helicopter. 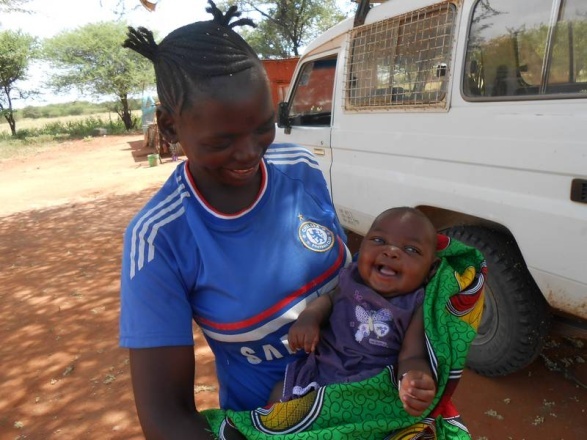 We thank God that baby Amina, now one month old, is doing well, but her family is currently homeless. 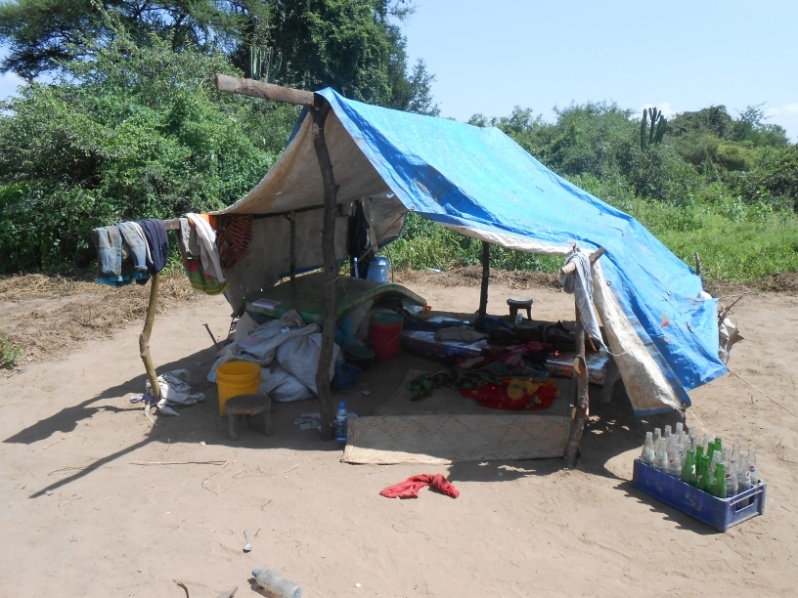 As well as the food package EI was able to provide the family with a mattress to sleep on. 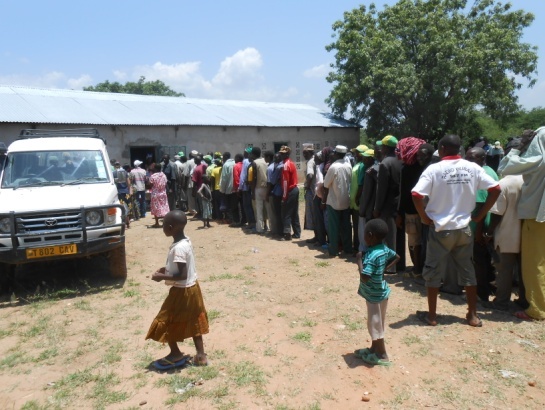 Earlier in March EI also helped the church to provide for flood victims in nearby Kisanga village where 100 families lost their homes. Those families are staying in temporary shelters until they can rebuild their homes. Now that the flooding has subsided many of the families are trying to plant rice again, however it may be too late as the rain is now abating and the rice paddies are already drying out. 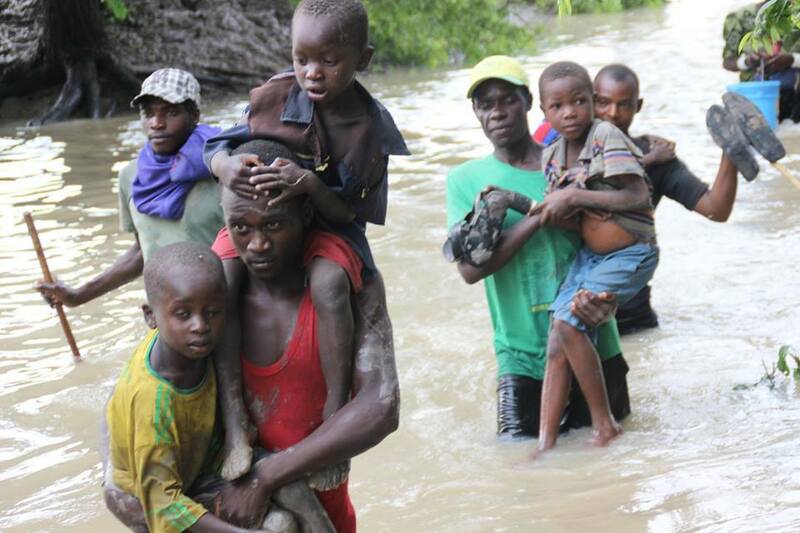 The other problem exacerbated by the flooding has been an outbreak of cholera which has already claimed several lives. EI will be conducting training on cholera for the church and community in Pawaga using the ‘Story of Cholera’ video and other resources provided by UNICEF. 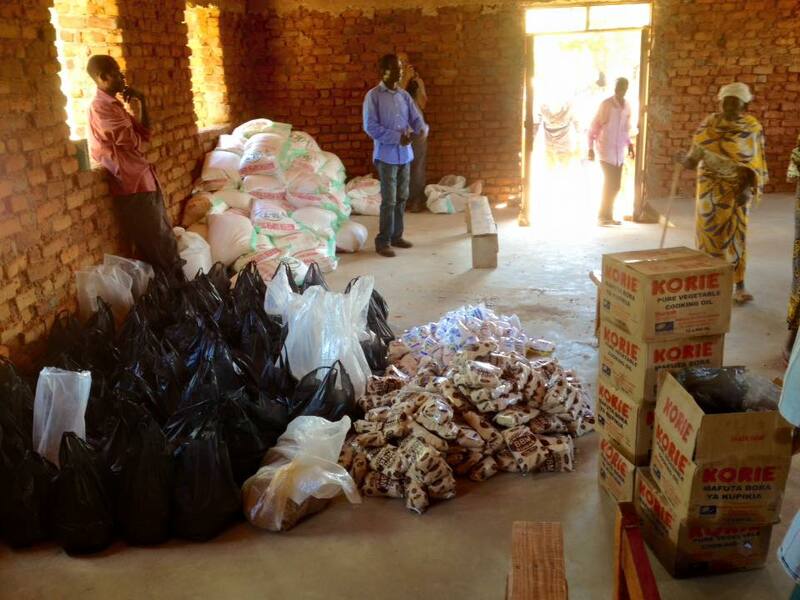 More help is needed, especially for food and transport costs. Approximately £10 will buy enough maize flour to feed a family for a week. If you would like to help the people of Pawaga you can donate securely online via Charity Checkout (click the button below) or by sending a cheque (made out to Emmanuel International) marked ‘Pawaga emergency’ to Emmanuel International UK at the address Forum House, Stirling Road, Chichester, West Sussex, PO19 7DN. Please pray for these people and for churches , and other agencies trying to help them. The people of the Pawaga area grow rice in paddy fields which are irrigated from the Little Ruaha and Great Ruaha rivers. Many people either live permanently by the rice paddies or stay temporarily in mud houses at the edge of the paddies during the main growing season of January to April, taking their families and belongings with them. 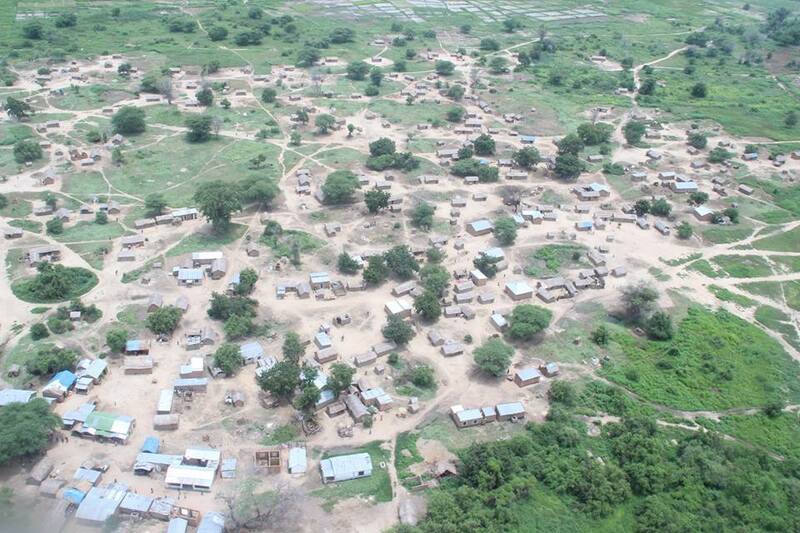 The situation in Itunundu is more complex as the area affected is much larger. Some have lost homes whilst others have lost possessions and have no food. Although many people were rescued by boat, others didn’t want to be rescued as they were concerned about theft of their remaining possessions. Others were concerned that they would be in trouble with the authorities as they were farming in a reservation area without permission. 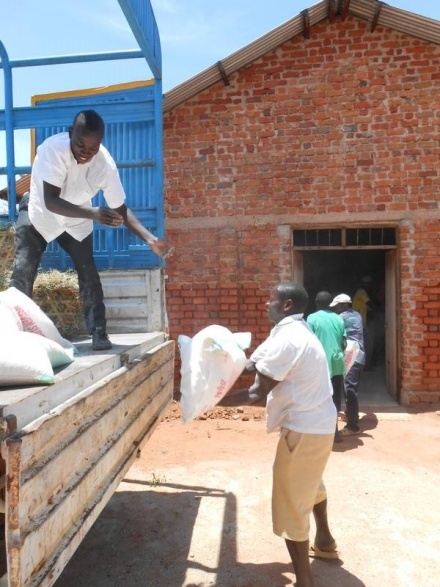 After initially providing accommodation and a distribution centre for the victims, the government is not able to continue to provide help for these people so the role of the church is now even more vital.